It looks good, but it needs fine-tuning. Igloohome’s Smart Deadbolt is now on its second iteration, though even after some apparent upgrades, it’s a smart locking system that still needs a little work before it’s ready for prime time. In the looks department, the system is top notch. The exterior escutcheon is slim and sleekly designed in jet black. The interior is similar to most smart locks, but it’s smaller than most, and designed without fuss. Installing the Igloohome was unfortunately a far from smooth process (despite the fact that I have extensive experience with smart locks). The first problem is that that no printed installation instructions are included. Instead of a paper guide, you are provided with a lengthy URL to access a PDF hardware setup guide online. This guide isn’t the easiest to follow, and given the quirkiness of the Igloohome deadbolt, it took me at least four tries to get everything mounted, aligned, and operating correctly. One installation feature unique to the Igloohome is the requirement of an extra drill hole above the standard cylindrical cutout. This added hole gives the lock better stability and prevents it from listing to the side, but it’s not required by any other smart lock I’ve seen. Unless you’re 100-percent certain you want to stick with this lock for the long haul, I’d be hard pressed to recommend that anyone drill an additional, permanent hole in their door for the sake of a smart lock. The Igloohome app maintains detailed records of each unlocking action. After about 40 minutes of wrestling with the lock, I finally had it in place and was ready to start using it. Without the app, the lock can be opened via PIN code on the touch-sensitive display or, if you pry off the protective cap covering it, via a physical keyhole underneath. 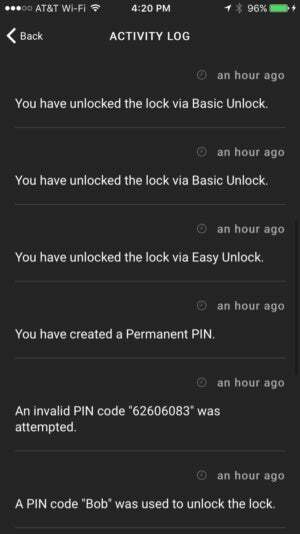 The app keeps meticulous records of each unlocking action, though it does not log unlocks via the manual internal deadbolt, nor does it log when the lock is engaged—only unlocks are recorded. It also notes when incorrect PINs are entered, and if a valid PIN is entered, the log notes the name to whom it was assigned. Curiously, some lock settings can’t be managed via the app and can only be controlled through the lock’s keypad. 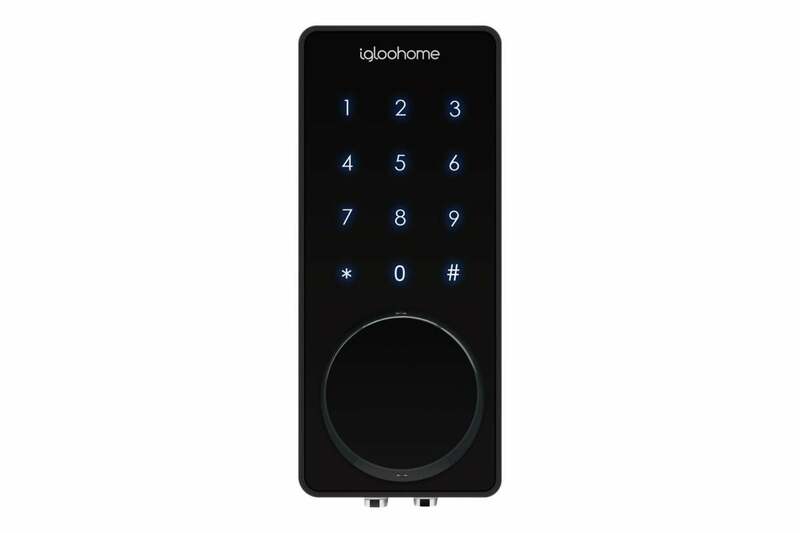 This includes the Igloohome’s automatic relocking system: The lock can be set to automatically lock after 5 to 120 seconds, but only via tapping in codes on the touchscreen. One of the other bright spots with this kit is that, like Yale’s locks, the Smart Deadbolt 02 includes posts on the outside of the door to which a 9-volt battery can be connected in case the primary batteries (four AA cells) die while you’re outside. Coupled with the physical key option, you really do have a variety of methods at your disposal should you find yourself locked out and the lock’s batteries are dead. In practical terms, the Igloohome works fairly well, though there’s a significant learning curve in figuring out how to get its various unlocking controls to operate smoothly. 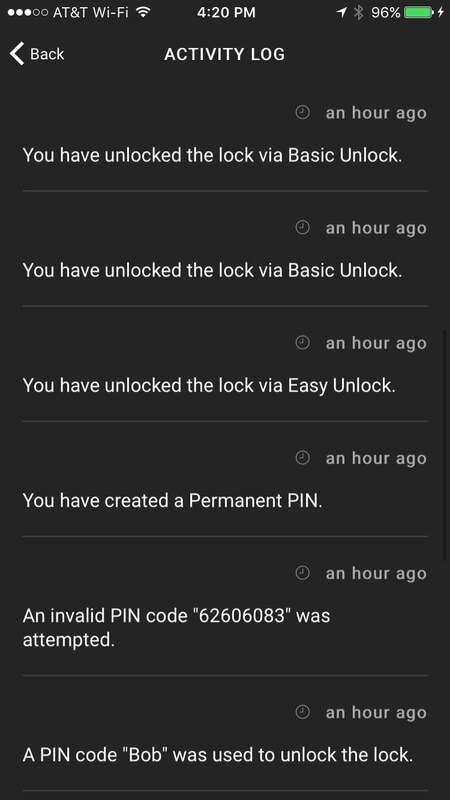 “Regular” unlock and Easy Unlock modes aren’t entirely intuitive, nor is managing PINs (which are automatically assigned and are changed through circuitous means). At $200 street, the Igloohome isn’t outrageously expensive, but it does cost more than the competition, which makes it tough to recommend over less pricey units like the Schlage Sense, which work flawlessly from the start.